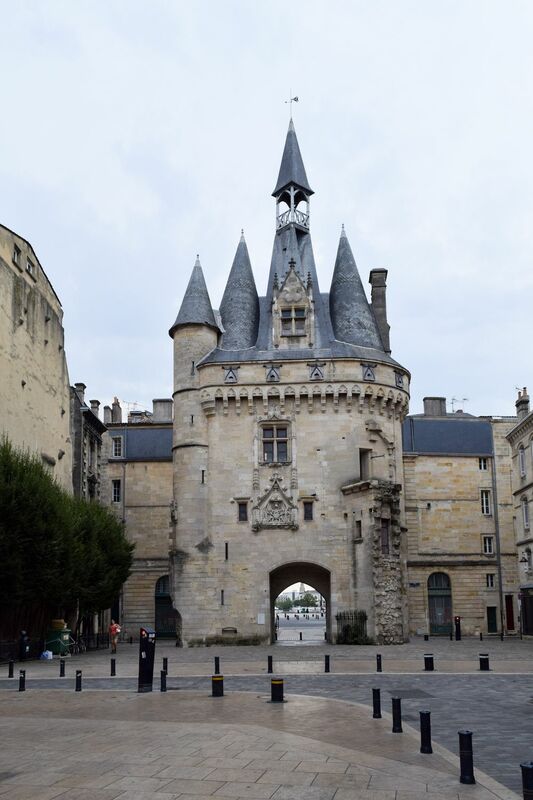 Porte Cailhau (the Cailhau door, in English) is a magnificent historical entryway to Bordeaux not far from the Garonne river. 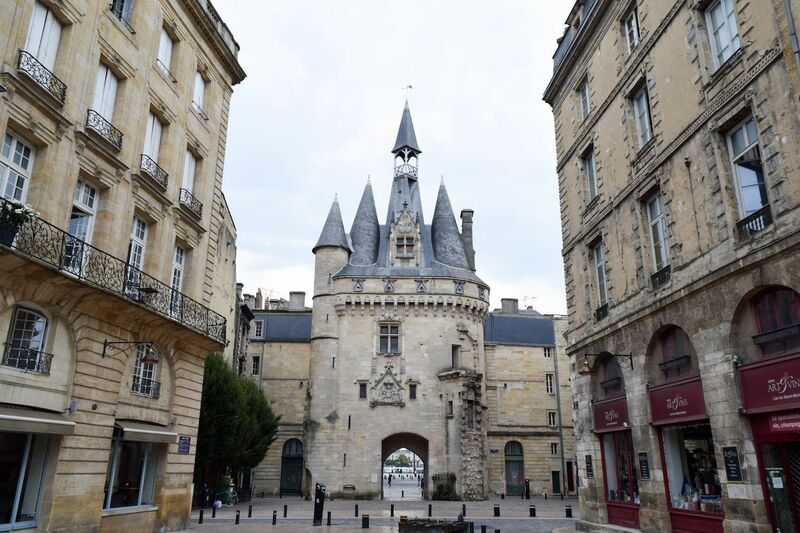 Seeing it in person during my July trip to Bordeaux was breathtaking! 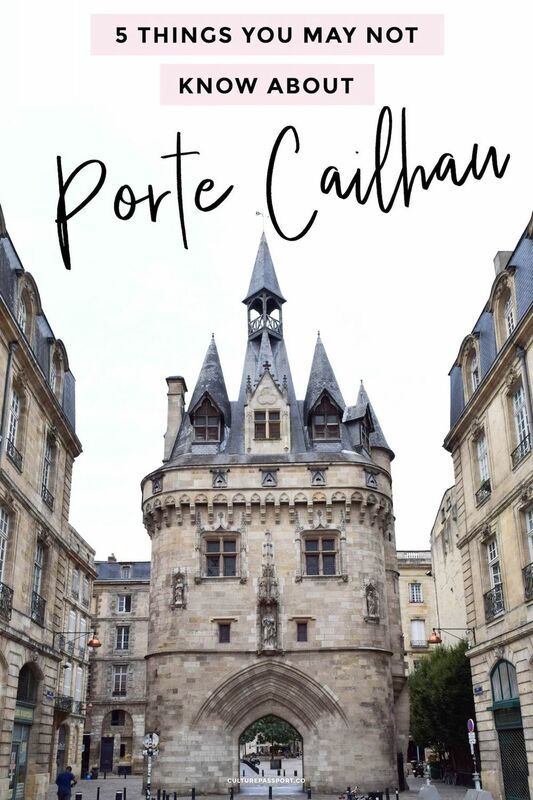 I learned a bit more about the Porte Cailhau because I found it so marvelous, and I decided to share 5 facts about it that you may not be aware of! 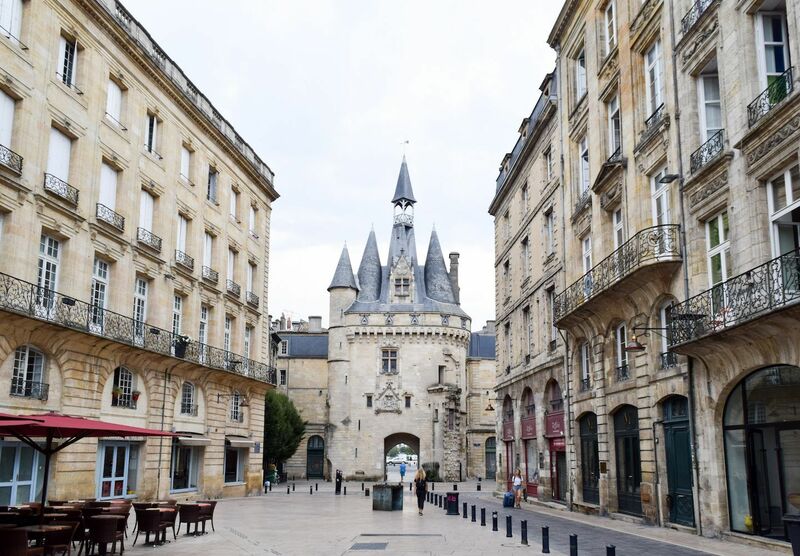 Related: 10 Best Things to Do in Bordeaux! 1. Porte Cailhau was installed during the 14th century, but was later replaced with the door we see today between 1493 et 1496. 2. 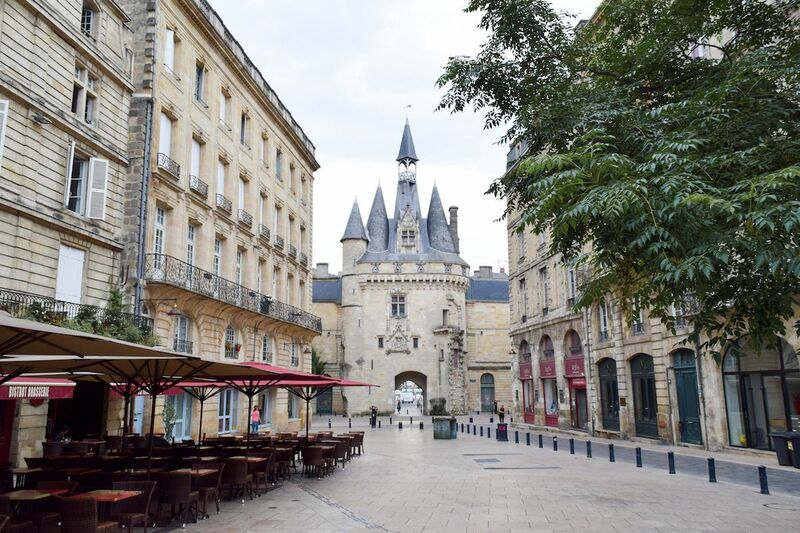 It served as the principal entrance to the city from the riverside port, giving access to the Palais de l’Ombrière, where the dukes of Guyenne lived, and later the Parliament of Bordeaux, from 1462 onwards. 3. 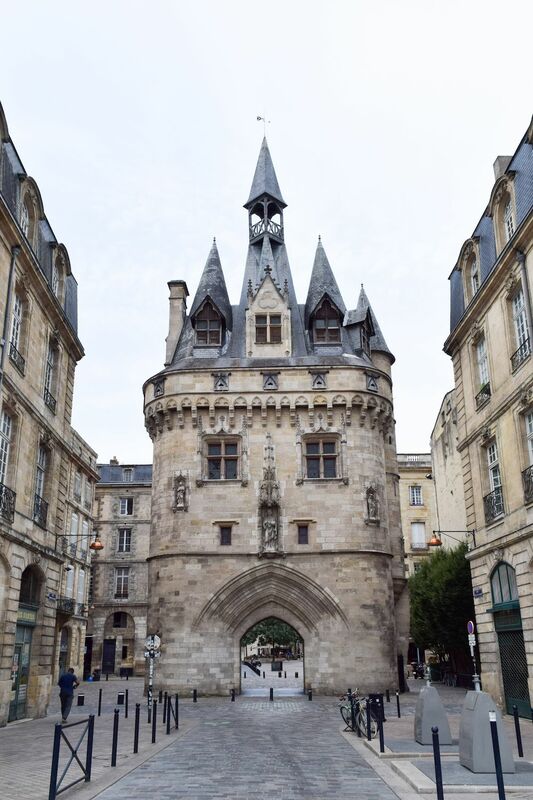 Porte Cailhau is a prime example of Medieval architecture in Bordeaux. The door reflects the architectural styles of the transition period from gothic architecture to Renaissance architecture, exhibiting characteristics of each style. 4. 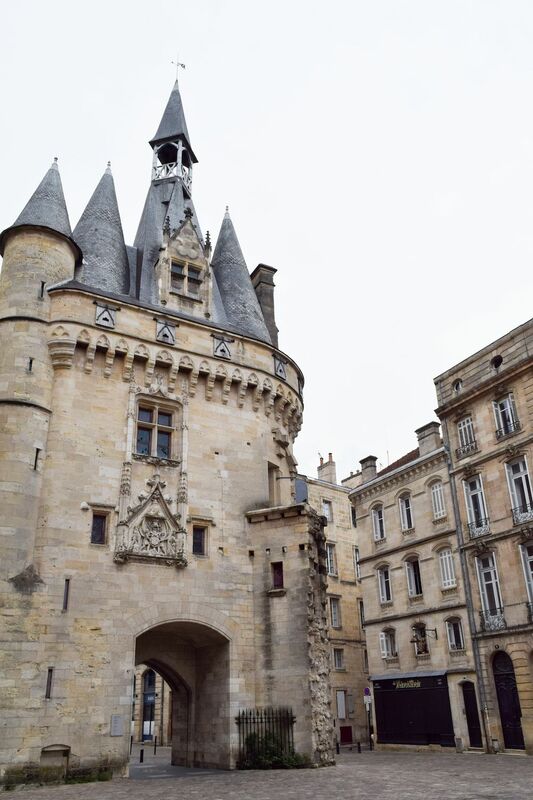 There are three tiny statues which are found on the side of the door facing the river: Charles VIII, Saint-Jean l’Évangéliste et le Cardinal d’Épernay. The door patriotically commemorates the victory of Charles VIII in battle! 5. Including the cone-shaped turret, the door stands 35 meters high! 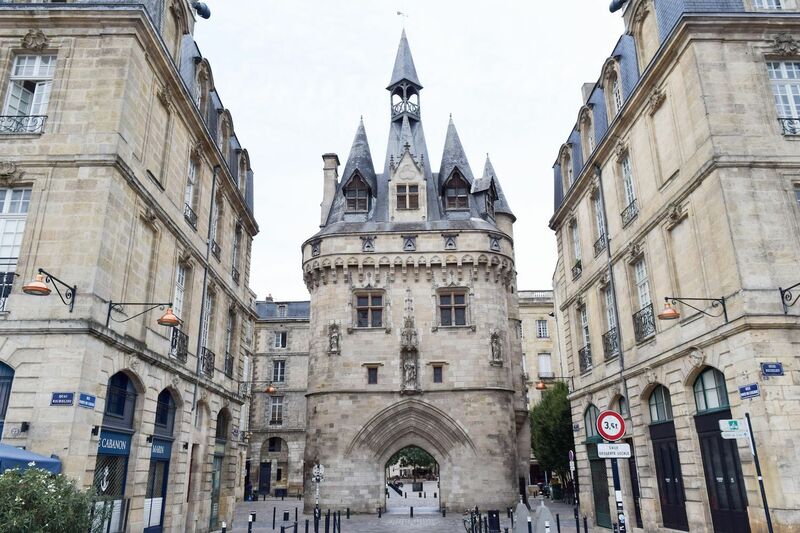 I hope you have a chance to visit this beautiful work of architecture when in Bordeaux! It’s extremely impressive to see in person.